It’s pumpkin season — and as we head from Halloween to Thanksgiving, what could be better than a French pumpkin soup? 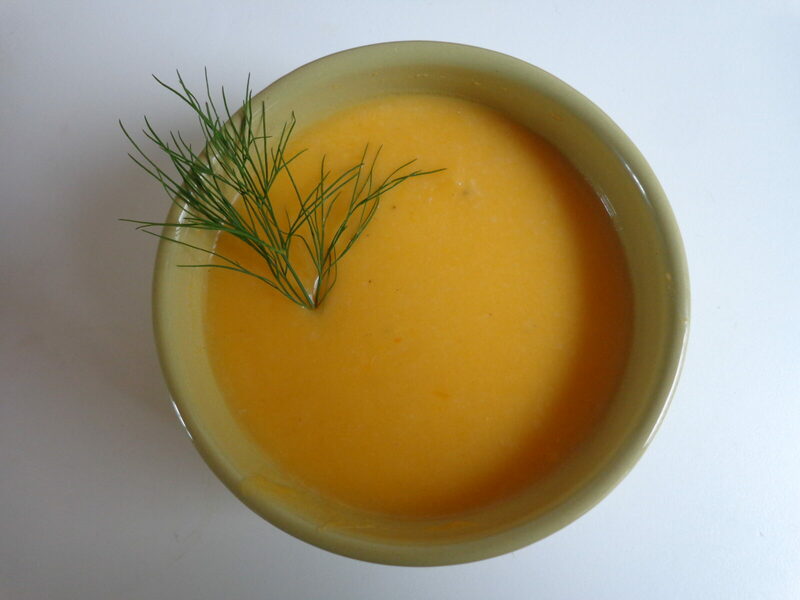 Not just any kind, but pumpkin soup from Lyon, the heart of French gastronomy. The ingredients read like a catalog of Lyonnaise cuisine: pumpkin, potato, cream, grated Comté or Gruyère, a leek and, yes, some butter. Okay, it’s rich, but oh so satisfying. Set off nicely by a salad, it makes a lovely meal. So what is it about Lyon that has created its reputation as the heartland of French cooking? I’ll give you the answer in three words: location, location, location. Lyon sits at the confluence of the Rhône and the Saône, major waterways linking it to the Mediterranean in the south, the Swiss Alps in the east and the Vosges mountains of northeastern France. Back in Roman times, it was already receiving wine, olive oil and produce from Provence and beyond, transported by river. Over time, dairy products from the Alps and the Vosges, the fine poultry of the nearby Bresse region, beef from Charolais, fruit from the Ardèche, fish from the rivers and lakes, all made their way to Lyon. Local charcuteries specialized in cured meats. And so grew a culinary tradition. As for the pumpkin, it is widely used in French cooking throughout the fall and winter. I was treated last year, as some of you may remember, to a spectacular pumpkin gratin prepared by Georges Blanc, a three-star chef at Vonnas, north of Lyon. This was his take on one of the classic foods of Thanksgiving, and he was kind enough to give me the recipe. The occasion was the filming of an episode of a French television series about food and art, the art in this case being the Norman Rockwell painting called Plenty. I’m mentioning it now only because the program is about to air in France, just in time for Thanksgiving. If you’re interested, it will be shown on Arte on Sunday, November 23 at noon. In the meantime, happy cooking! This entry was posted in 2. 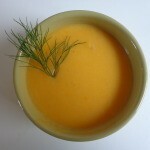 Soups and tagged cheese, cream, cuisine, Georges Blanc, leek, lyon, potage, potatoes, pumpkin, recipe, soup. Bookmark the permalink.